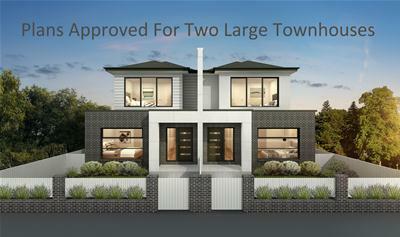 The unparalleled location is what best describes this highly sought after development opportunity. Right opposite the Moonee Valley Race Course, this planning permit approved allotment has cutting-edge architectural designs for two luxury townhouses. Positioned within a blue-chip location in Moonee Ponds and has close proximity to Puckle Street and the activity Centre, and only 6 km (approx) to the CBD. This goldmine is ready for those that understand the potential of a fast turnover. These stunningly modern masterpieces combined with quality craftsmanship will be in ultra-high demand. - Approved working planning permit for two double story townhouses- Land size 575 sqm in total approx with over 15 meters frontage. 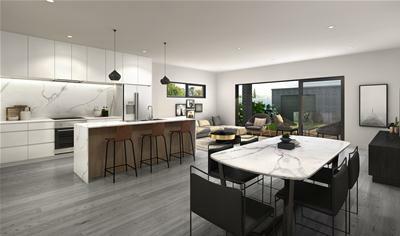 - All townhouses have five bedrooms with front and rear yards, plunge pools and an addict at the rear with rear double garages via a laneway. Now is your chance to shine with this superbly positioned money-making opportunity! Contact us today for more information.